May’s installment for #operationsockdrawer was inspired by a stash dive. I have a relatively small amount of stashed yarn, but some of it is ancient. 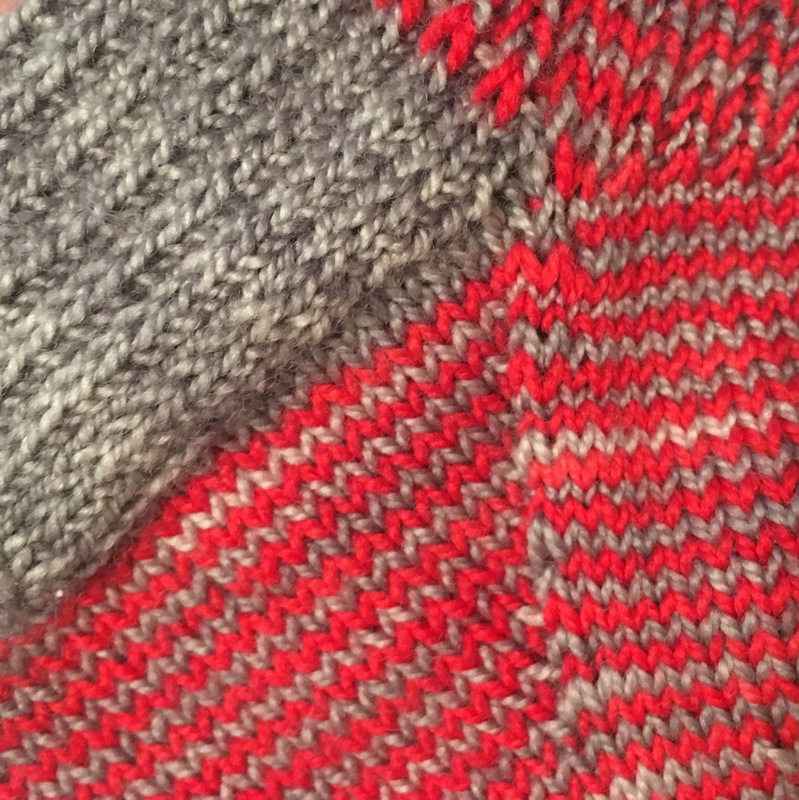 I had two skeins of Koigu Premium Merino, one scarlet and one gray, that I bought at Purl Soho back in 2010, I think. In honor of that trip, I decided to use their Striped Crew Sock pattern. 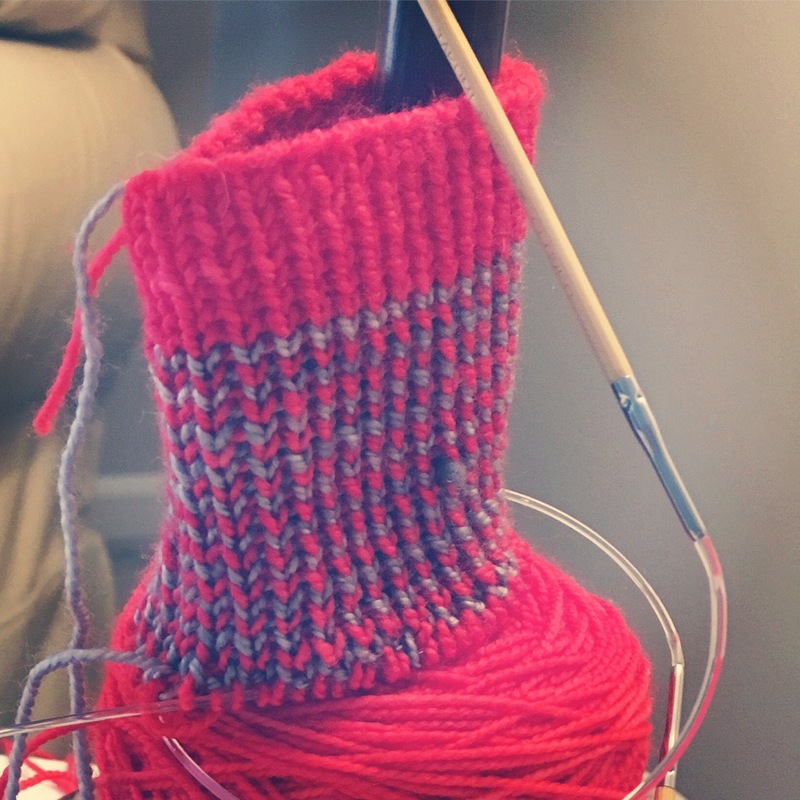 I modified it by shortening the cuff to 4″ ( I just couldn’t handle the 1×1 ribbing with alternating yarn for much longer) and alternating the main color for the toes/heels. As always, full details are on Ravelry. 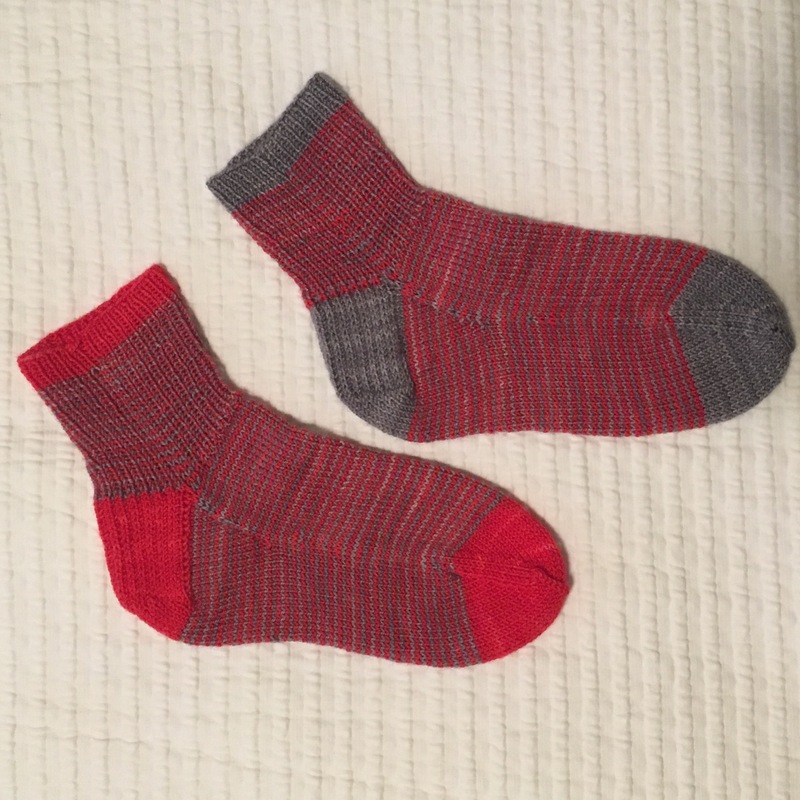 After finishing and blocking, they are tucked into my sock drawer, awaiting college football season.